Bing is back!!! And he’s stripping to a two-piece for his second summer residency at the Metropolitan Room. 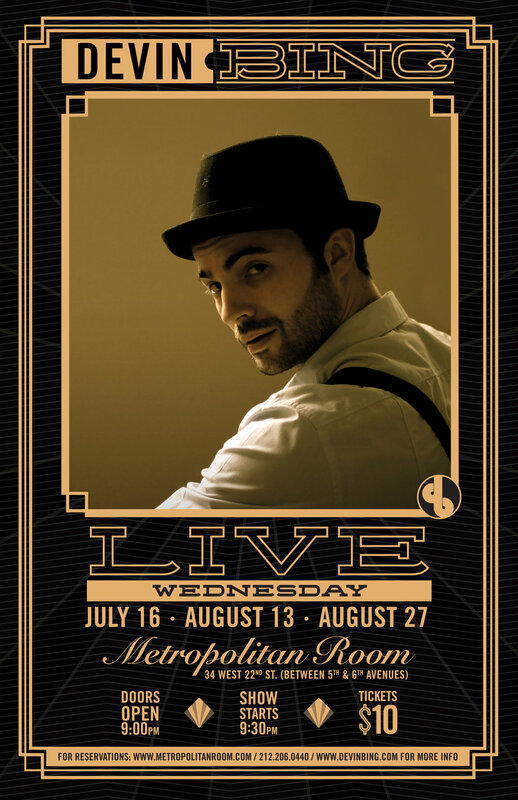 Taking his dynamic duo performance from his headlining show at Turning Stone Casino to the big apple, the jazz crooner and soul songwriter sets to perform songs from his first album as well as unveil new songs from his upcoming “Shaken Not Stirred” record. With his unique brand of song stylizing and arranging, Devin creatively takes the elements of drum set, piano and vocals and skillfully weaves them together crafting a show that is truly the only one of its kind. Make it a “Bing Night Out” and don’t miss the experience this summer!